Buttocks are a very controversial area for athletes. 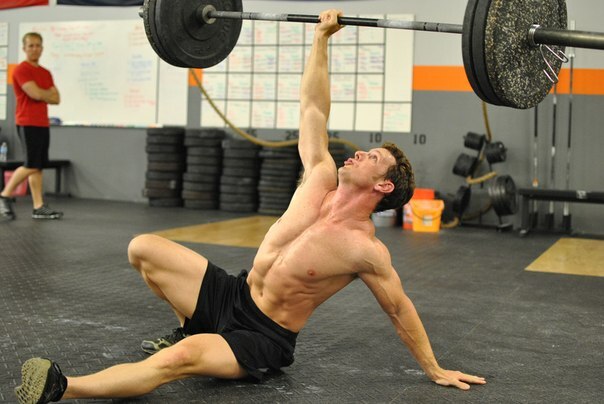 Many professional bodybuilders, crossfit participants and weightlifters are constantly measuring their hips. Fitness trainers, on the other hand, try their best to discourage focus on only one muscle group. And only women, inspired by the successes of Kim Kardashian, seek to maximize muscles in this particular zone. For this purpose, it is best to use exercises for the buttocks with dumbbells or other weights. Why not simple squats and running? To grow muscles needs constant attention. In particular, the lunges and exercises with their weight are not sufficient for this fairly large group of muscles. Before considering programs and exercises to work on the buttocks, you need to determine what weight will be used during the exercises. For many, it will be a shock, but the dumbbells and barbells used to give the buttocks the right shape must significantly exceed the women’s ideas about the maximum lifting weight. Why? It’s very simple – it’s a very powerful muscle group, which is actually responsible for holding up the entire body (from 50 kilograms) all day long. In order to build them, proportional loads are needed. Especially effective for women are exercises for the buttocks with heavy dumbbells, which are needed to sufficiently harden the buttocks, reduce the percentage of fat and increase muscle mass. In particular – sit-ups, lunges, and wide stepping, are performed with a weight of at least 20 kilograms. But for many it turns out to be too much, and the body can not cope. What to do in this case? Unfortunately, with all the desire to work exclusively on the gluts, as in any other case, it will be necessary take a preparatory month. Perhaps after one month, the body will get used to working with iron. 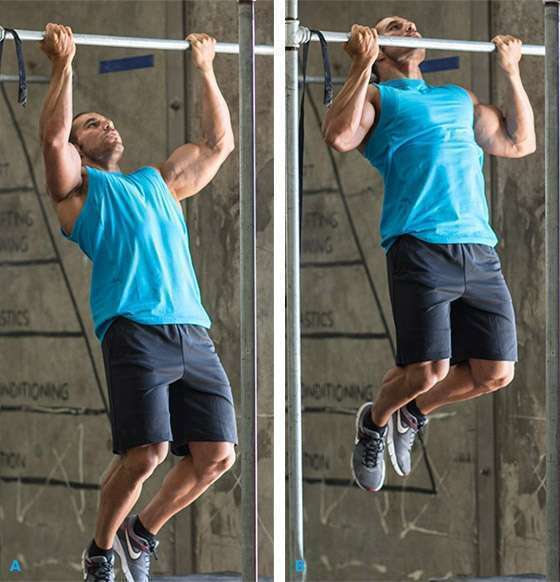 work with basic exercises (pull-ups, push-ups, squats), with moderate weights (empty bar) for mastering the technique. active development of the lumbar region by massive hyperextensions with weights from the bar. Do not worry, for this month you will not turn into Schwarzenegger. Moreover, the external changes in the figure will be very invisible. But, later, when working with large weights when doing squats and lunges, you will see a difference. One month of preparation is a good way to lower risk of back injury, muscle strain, or overtraining of the body. If you are looking for good and effective exercises for the buttocks with dumbbells at home, then similar training with lifts, squats and push-ups can be done at home. In other cases, you can practice without any problems. Deadlifts (lean forward with dumbbells). Consider how it works, and how to properly do each of them. There is one more exercise – this is the gluteal bridge . This is an extremely difficult exercise for which a bar or Smith bench is needed. At the same time, its effectiveness is extremely low, and the slightest violation of technique can very badly affect the overall health. Plier with a dumbbell is the first basic exercise with dumbbells for the buttocks and thighs. It almost completely turns off the quadriceps from work. At the same time, the whole accent is shifted solely to the gluteal muscles. If your goal is exceptionally beautiful legs, hips and tight buttocks, you cannot do without it. Legs set as widely as possible. Look straight ahead. If that’s too hard, you can look up, but not down. Dumbbell – weighing up to 15 kg (for beginners the optimal weight is 5-8 kg), is in the hands, between the legs. As deep as possible, sit down, while maintaining a straight back. Hold at the bottom point for 1-2 seconds. If you have a mirror, then looking at it, you should observe movements very similar to how the sumo wrestlers take the starting position before the match. This exercise with dumbbells for the buttocks is more suitable for weight loss than for pumping muscles. Despite the anaerobic nature, it involves all large muscle groups, so that calorie and energy consumption during the approach increases several times. All this leads to a deficit of calories and weight loss. From the point of view of the use of the buttocks, depending on the setting of the heels, the load may slightly shift to the front of the legs, which will allow them to tighten, but in general, the load falls on the back surface of the legs. For squats with wide setting of the legs, you will need 2 heavy dumbbells (weight from 5 kg). Then there are two techniques. With the dumbbell on the shoulders (like weight lifters), or the opportunity to cross their chest (Coleman’s technique). The dumbbells are placed in their original position. The head looks straight forward. If it is too difficult, you can look up, but not down. This technique is very similar to plié, but unlike the previous exercise with dumbbells for the buttocks and legs – this is somewhat more difficult to perform. In addition, the load is much heavier. The main difference is the distance between the legs. This exercise, it came to home training even from classical physical education. At the same time, many underestimate its power, or simply perform it incorrectly. Dumbbells are placed in their original position, similar to the previous exercise. Legs become shoulder width apart. A strong deflection occurs in the back. Then you need to start moving the hips back. That is, do not bend your knees, and by deflecting the body back, make the maximum lowering, simultaneously bending your legs. To accentuate the load, under the toes or heels, you can put small wooden planks up to 10 centimeters thick. With this exercise, the load completely falls on the gluteal muscles, bypassing the quadriceps. If you need to load in reverse, straighten the back. The next exercise seems to be extremely simple until you start to do it. Yes, yes it’s lunges with dumbbells , which, unlike the previous ones, are an isolating exercise. This means that only the gluteal muscles are involved, and the back of the thigh. Quadriceps, calves and back muscles perform solely the role of stabilizers. Dumbbells are placed on the shoulders. One leg is set as wide as possible forward. Reach for the leg (to make the maximum emphasis). In total, you need to perform 7-12 reps on each leg. The optimal weight for beginners is 5-8 kg each dumbbell. Wide stepping is a more dynamic technique of the previous exercise. The main difference begins with the 5th movement point. Namely, instead of just changing your leg from the position of the lunge, you need to move the hind leg forward, and do lunges. To make it easier to visualize this movement, imagine that you are just walking very widely, carrying packages with food in hand. Although the dumbbell plays an important role, if that’s too hard, just do the side steps without weights. This exercise is actively used in powerlifting, and even experienced athletes can not always perform it correctly. But at the same time, it gives the greatest load on the back of the gluteal muscles and buttocks. Dumbbells are taken in hand. The legs are placed at the width of the shoulders. Start movement, downward keeping the back and legs as straight as possible. At the bottom point, try to touch the floor (if stretching allows). From the lower phase, gently rise, keeping the straightness. How to train the gluteal muscles? 1-2 exercise from the previously mentioned. Work is necessary in the maximum possible load, with the use of the maximum possible weights. In this case, for successful growth, it is not recommended to load the muscles of the buttocks more often than once every 7-10 days. The remaining training days, it is better to devote the basic exercises to other muscle groups. Working on targeted zones by means of buttock exercises with dumbbells allows you to quickly reach your ideal form. If you are trying to lose weight, it is better to use other exercises, including frequent cardio. 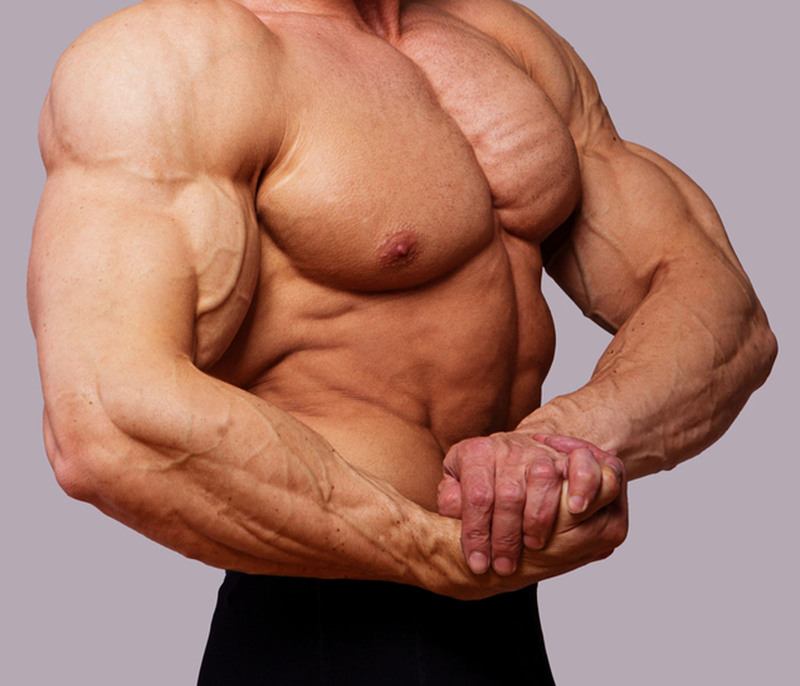 It is impossible to burn fat and build muscle at the same time. With the wrong technique of exercises, everything will swing, except for the buttocks themselves. Well, and most importantly, even with the desire to work out at home, it is better to spend another month in the gym, where it will be possible, under the supervision of the instructor, to learn proper technique of execution.